Dear friends, today i m introducing very unusual yet most sincere student Uttam kumar mahto, who is 26 yrs old and belongs to jharkhand bokaro steel city. His father is landless labour with family dependent on poultry farming. Totally illiterate Uttam came to delhi in 1999 and started working as cook and other household works. Inspite of having two kids-rawan(1.5yrs) & phool kumari (4.5yrs), Uttam couldnt ignore craving for getting educated as he desperately wanted get rid of tag of illiteracy. He hated idea of his two kids following footsteps of their father or look at him as their illeterate father. Uttam realised that his own education is quintessential platform for education of his kids. 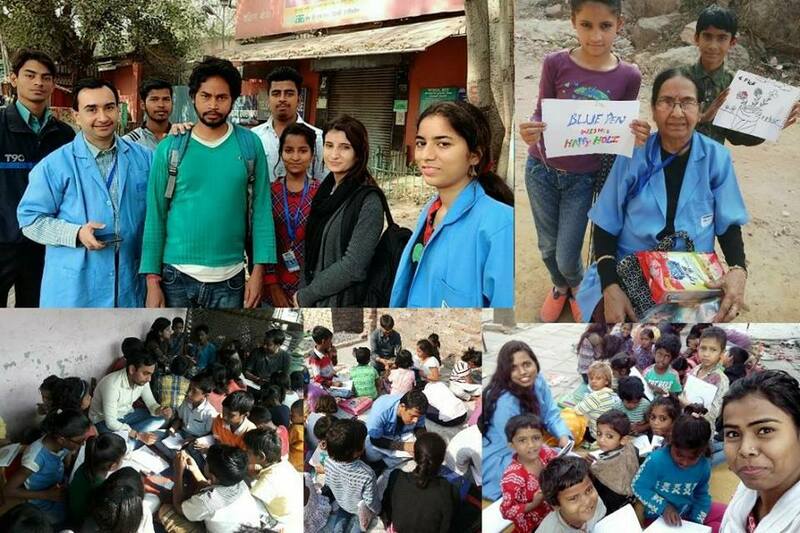 One day uttam saw volunteers of Blue pen taking classes outside MTNL Hauz Khas. 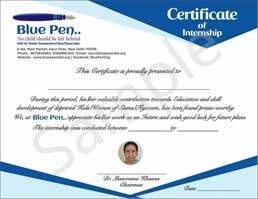 Hesitatingly, he enquired with Dr Manorama Khanna, Chairman, Blue Pen whether her team would like to teach grown up adult like him. Dr Khanna immediately appointed dedicated Teacher for Uttam. Over next 6 months, due to his sincerity and punctuality, Uttam started drawing admiration from all Blue Pen Volunteers. Today, Uttam brings both kids to blue pen kids..very punctual in attending classes. He wants his kids to become worthy enough to contribute to society. When asked why he preferred studying at old age, Uttam explains that he does it so that he can do something good for society and also for reason that he can do better in life for his family. Uttam wants to go back and do business in village.His business plan is already ready:- he plans to sell 2nd hand clothes in village where villagers face acute shortage of affordable good quality clothing. When asked about philosphybof life, uttam mentions that he wants do much in life in short span and for him, one life is just not sufficient.